The Head Innegra Laser squash racket pack includes two frames strung with a synthetic gut string for all around playability and 2 full length covers for protection. The rackets have a head size of 77.5in2 (500cm2) and are head heavy balanced for improved power, stability and spin. The Innegra technology provides great control and precision, while the Hydrosorb Pro grip ensures direct feedback from the rackets. 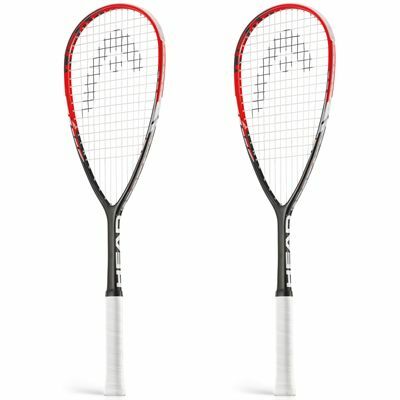 for submitting product review about Head Innegra Laser Squash Racket Double Pack.